The term “reasonable accommodations” refers to changes in the workplace that enable people with disabilities to effectively perform the tasks associated with their job. Accommodations can help people with learning disabilities do their job well, even when their disability gets in the way. Accommodations can vary and it is important to choose the right ones to fit your needs. There are many solutions to help accommodate problems that may get in your way of success. the time and place that the work is done. Analyze the task that is giving you difficulty. Be exact about the nature of the problem. Brainstorm solutions and consider changes in the work environment, your work style, your communication style, that of your supervisor, and the job itself. Assess whether the accommodation is meeting your needs and be sure to share feedback with your supervisor and implement any necessary adjustments in work routines in order to sustain your success. Install text-to-speech software on your work computer. Windows® has a built-in text-to-speech feature. From the Home button, go to “All Programs,” then “Accessories,” then “Ease of Access,” then “Narrator.” Or download free software such as Natural Reader. Request that your boss give you oral rather than written directions. Discuss reading material with co-workers. Make drawings, diagrams, and/or flowcharts as you read to help organize the information. Organize your work area and keep it that way! Attach important objects to the place they belong. take notes and ask your supervisor to review them, or write a memo that summarizes the information. With smart pens that have built-in recorders, you can transfer everything you write and hear to your computer so you can see and hear them later. record important procedures and instructions so you can playback and review as needed. 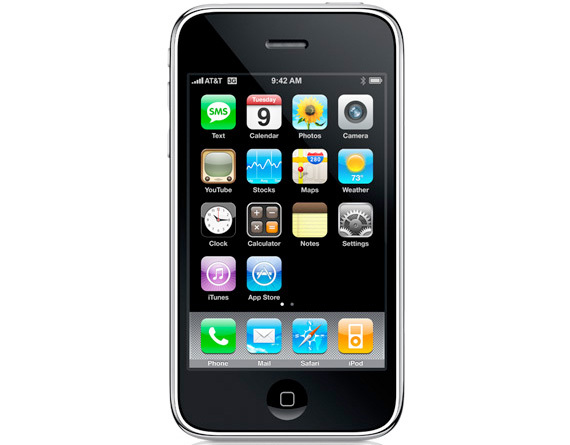 Use a voice organizer or cell phone to remind you of scheduled events. Some voice mail systems and cell phones have scheduling reminders that ring at a specific time and even play a reminder message. 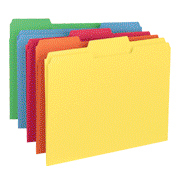 Organize files by due dates. Put up a “Do Not Disturb” sign when you really need to work without interruption. If you have difficulty with spelling and grammar. Use spell check and grammar check software. Use text-to-speech software and listen to what you write. Hearing your words may highlight mistakes. Ask a colleague to proof your work, but only those documents that must be proofed. Say each number aloud as you write or type it to ensure that it is correct. Use mnemonic devices to remember sets of information. 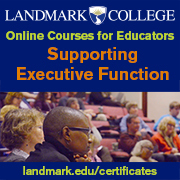 Create charts or graphic organizers that allow you to quickly find the information you want. Use web tools such as Evernote which allow you to copy and paste information from websites, create diagrams, record information, and add comments and tags to information that you find. Use a miniature recorder, voice organizer, or a smart pen with a recorder to record what you need to remember. Author: Dale S.Brown. Dale Brown is a disability policy expert where she works with organizations in improving their products and processes for people with disabilities. She also serves as a consultant to families who have children with disabilities facing difficulties launching themselves to independence. Dale has written five books on disability issues and has given hundreds of speeches and trainings on disability issues. 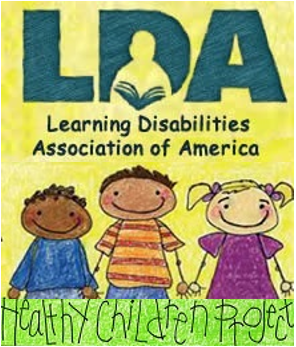 © 2013 Learning Disabilities Association of America (LDA). LDA encourages the distribution of this information. Please provide appropriate credit if portions are cited. Information may not be reprinted for the purpose of resale. Hi, I am in my later 60’s now and have had problems keeping jobs since I left Hairdressing. Did that for a long time but wanted to do more with my life. I did some appt. setting & phone work & then got into jobs enrolling students at schools & a college. I was good at sales but the job would maybe last 2 years or a year at most & I’d go to the next school because it paid well.. Became tired of the high pressure sales aspect of the job with weekly & monthly quotas, so I decided enough was enough. Went back to beauty school & added to my skills, but there are parts of what I learned that I am not wild about. The things I want to so in the esthetics line are hard either to find or areas of it don’t pay a lot. I get temp. assignments but unless they don’t involve a lot of computer work, they don’t work out! I have “good” verbal skills but my low end is math. I look on the internet every day & I am so sick of it. Any suggestions would be “Greatly” appreciated! If you have a disability, you can contact your local Vocational Rehabilitation Services office to see if they can help you get a more appropriate job or career. There’s information about finding your local Vocational Rehabilitation Services office at http://rsa.ed.gov/people.cfm. Just click on “State Agencies/Contacts.” There’s also information about how they help people with disabilities at https://ldaamerica.org/rehabilitation-services-administration-rsa/ There’s also a lot of resources for helping senior citizens find jobs at https://work.chron.com/there-job-placement-agency-just-senior-citizens-26118.html These resources include links to AARP’s “Work and Retirement” link on their website, some pay-for services, and state government job training and placement opportunities. Maybe you’ll be able to find something you like by utilizing these resources. I WORK WITH ACCOMMODATION FOR 40 YEARS. It is not too late to go back to school, but you will need a current evaluation (within the last 3 years) to request accommodations at school. 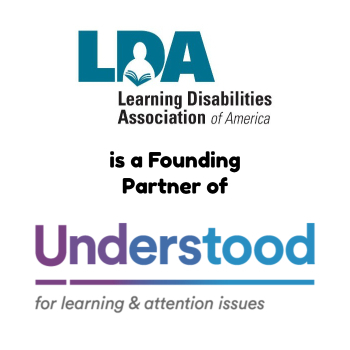 You can find information about how to do that at https://ldaamerica.org/adult-learning-disability-assessment-process/. Once you have completed the evaluation, you can apply for testing accommodations when you register to take a test. You will also need to request accommodations for classes, so you should contact the school’s Disability Support Services office to talk with them about how to do that. There are several articles that will help you with that process at https://ldaamerica.org/category/post-secondary-options/. You may also want to contact your local Rehabilitation Services Agency office. This agency’s purpose is to help adults with disabilities find jobs that are a good match for the person’s strengths, and also to help arrange for job accommodations to help the person with their job challenges. You can find information about this agency at https://ldaamerica.org/rehabilitation-services-administration-rsa/. This agency should also be able to help you find the right kind of school or training opportunity if you want to go that route before continuing your job search, and they may be able to help you get the documentation you need for requesting accommodations at the school. Hi my name is Diana. I have a learning disability. I graduated from the school of visual arts. I have dyslexia and have a hard time finding work in my field. I don’t have good verbal and written communication. I have a hard time understanding what is being told to me. My strengths are art, design and numbers. At times I feel so frustrated with my disbalibilty. Have any suggestions for jobs? The Toastmasters organization has been very helpful to people with difficulty with communication in the past to increase these skills and prepare you for interviewing and presenting yourself go to https://www.taostmasters.org. If a Toastmasters is not close to you, I suggest working with your college’s career center to work on these communication and interview skills. You may also benefit from contacting your local Vocational Rehabilitation office. Their local agency offices have counselors who help people with disabilities find jobs. You can explore their services and locations at https://ldaamerica.org/rehabilitation-services-administration-rsa/. Another great resource is the Job Accommodation Network at http://www.askjan.org. They have accommodations experts you can talk to for free who may be able to help you brainstorm job or career ideas. I see a lot of people thay have the disabilities with the writing and math. These people needs hands on training. Not schooling and written tests. I have looked and looked and still have not found anywhere that could train people that learn tactilly! My name is Lynn and I have LD since I was a year old. I am not good with money. I would like desk job please help me. I would recommend that you check with your local vocational rehabiliation services office for help and support. LDA’s information sheet on vocational rehabilitation can be found here: http://oldldaamerica.org/wp-content/uploads/2013/10/Rehabilitation-Services-Administration-RSA.pdf. I’ve been trying to get a job for years and I have a learning disability and all it is, is a little bit of shyness and anxiety, kind of the same, but all it does is i need to be shown how to do something so i understand. I get told a lot by managers that I don’t get hired by them because of my disability and I want to sue. Hello, My name is Kim, I have learning disabilities.English and math. I always had it since grade school. I graduate from high school. I went to technical college I struggles in Math and English and other courses. I didn’t pass the Math, failed it. English I got and C, Edit English Skills I receive a D but I worked very hard to receive Administration Clerk/ Receptionist certificate. I having problems keeping good paying through temp service jobs. I always get fired, I just got let go two weeks ago. I didn’t pass the training course I receive low grade twice. Every data entry jobs I had through temp services I got fired. I don’t know what to do. I know when I go on the temp jobs they go so fast to train you. I’m very slow leaner. Hello my name is Tarneshia. I have learning/reading disability. I’m having a very hard time finding a job. I’m looking for a job thats good for my strengths and weaknesses I’m very good for stocking shelves, writing, helping people and much more. I am also very good at following verbal and written directions and have an excellent memory for learned skills on the job.